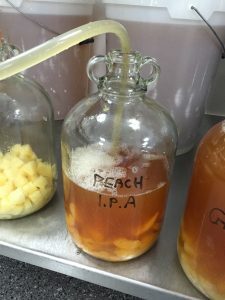 Pimp My Beer is a new series of blog posts we have started here at Port 66 to help guide you in making high quality homebrew with a twist. By adding extra flavours to the Port 66 kits, we think you’ll discover some really interesting, unique beers. To start, we’re adding various fruits to the Port 66 US IPA kit as the strong hop flavours and fruit flavours should complement each other nicely. 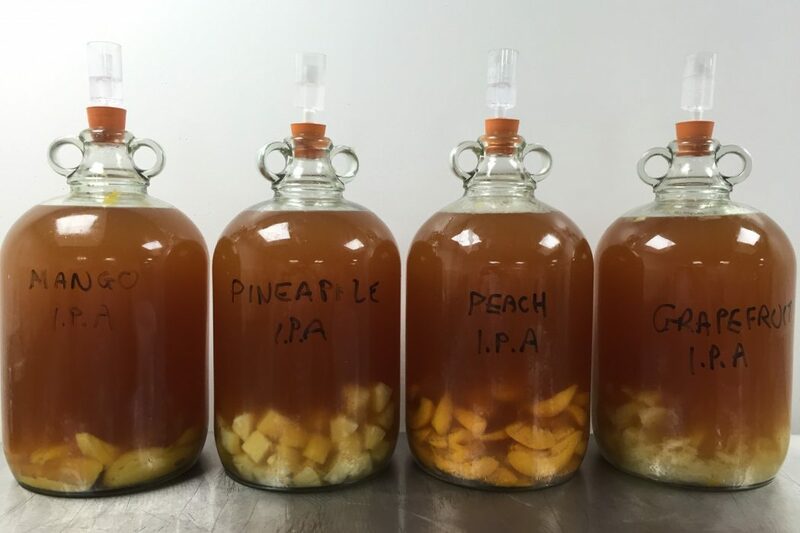 I’ll be making four IPAs; one with mango, one pineapple, one peach and one grapefruit. You can use as much or as little fruit as you like, however it’s advisable to use between 500g and 1kg per gallon/4.5 litres. 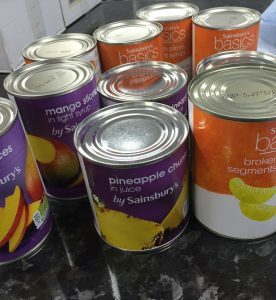 Tinned fruit should work well as it is already sterile and the additional juices or syrups in the tin can add more flavours. 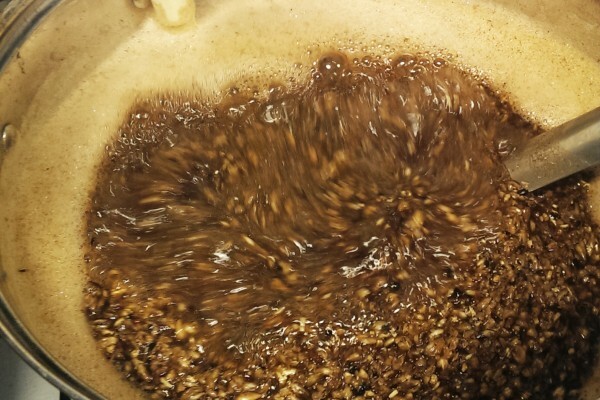 Be careful to drain most of it off though, as the more you add will increase the amount of fermentable sugars. I used four 4.5 litre demijohns as secondary fermenters and used a funnel to add the drained fruit. 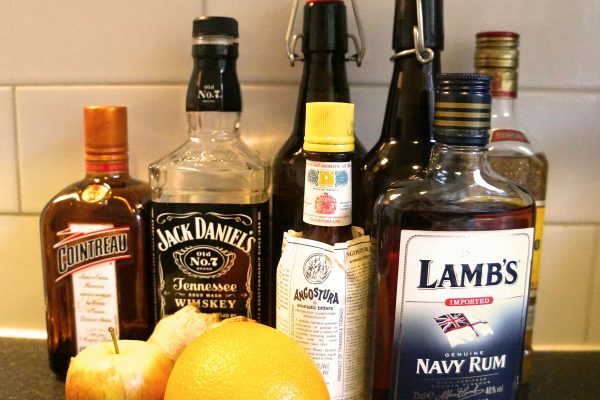 You can use any secondary fermentation vessel you have, or if you’re just after one flavour you can add the chosen fruit directly to your primary fermenter. 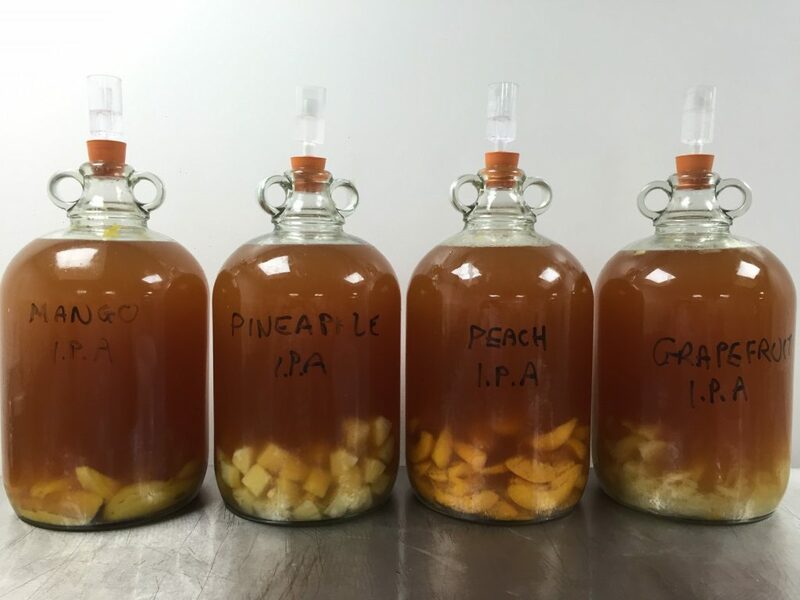 I syphoned the finished US IPA into each demijohn directly onto the fruit. Try not to fill the vessel right to the top as the fruit will eventually float up, where frothing can occur and spill over if there’s no room. Once all four demijohns were filled, I left these at 20 – 25oC for another week. Note – I marked each vessel as a reminder of which was which. This might seem simple but as the fruit starts to disintegrate, it can be difficult to tell. Once the week of secondary fermentation was complete, I was ready to bottle the beers for priming. When syphoning the beer, I used a hop sock over the end of the syphon as the fruit creates a fair bit of floating debris which you want to avoid getting into the bottles. Once bottling was complete, I left these to carbonate for 2 weeks, before chilling and serving for tasting. Time for the moment of truth – I conducted a taste test with three colleagues to get their opinions on all four beers. First up was the mango. Everyone enjoyed this beer but couldn’t necessarily tell which fruit had been added. There was certainly a sweet fruity taste to the IPA and it worked very well. 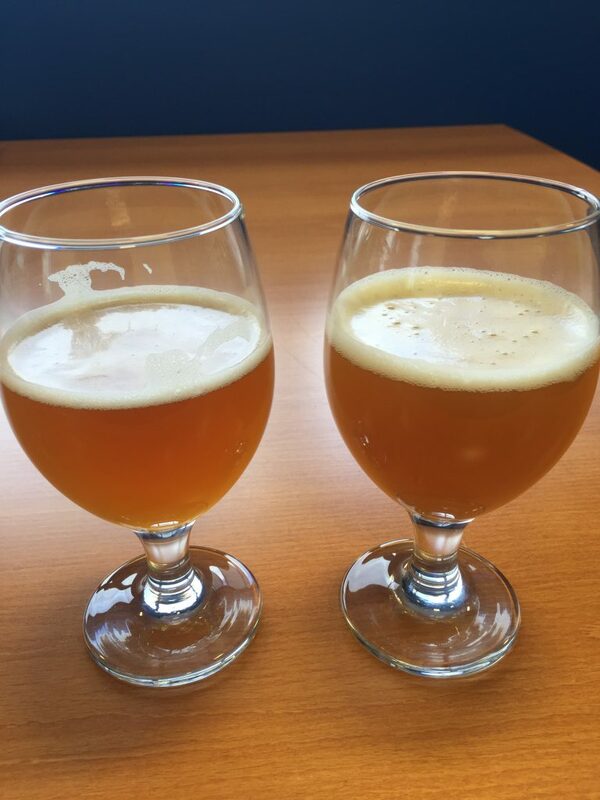 The pineapple IPA split us into two camps. The fruit added a sourness to the beer which Dave and I really liked as fans of sour beers at the moment. The pineapple was also a lot more distinctive than the mango, however this wasn’t to Lee’s or Jane’s tastes. There was a tanginess to the peach IPA however we all agreed it wasn’t as flavourful as the other three beers. There was definitely a few notable flavours in this IPA however they tasted muddled. Saying this, overall it was a good IPA. Unsurprisingly, the grapefruit IPA received the best reaction. The flavours of the grapefruit tasted natural and really came through, complementing the flavours of the hops. 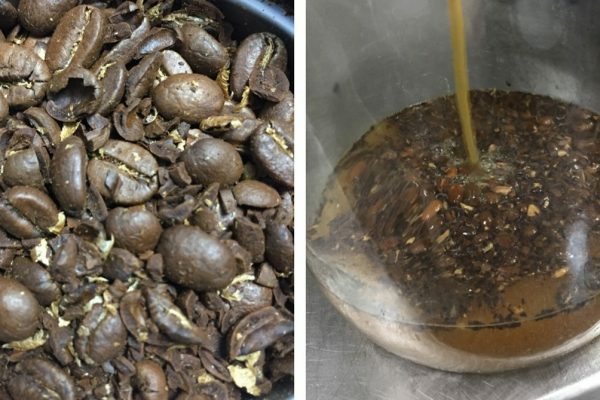 Lee also commented that there were sour tastes similar to those in the pineapple beer, however not as strong and the fruity flavours came through better. So the grapefruit probably edged it overall, however it’s clear it’s all down to personal taste…which as we know, is the beauty of homebrew. Lee enjoyed the grapefruit but he said he’d prefer to drink more of the mango beer. Jane was also split between the mango and grapefruit and for Dave and I the grapefruit was just ahead of the pineapple, but I’d be more than happy if I was served the mango or the peach IPA too. 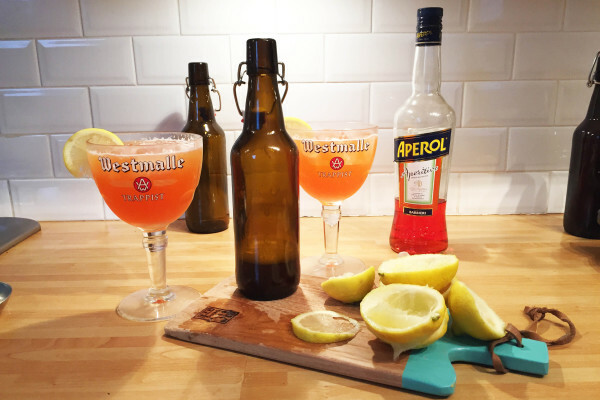 If you’ve ever added fruit to your beer, or fancy trying it, why not let me know your favourites and if you prefer a different method or fruit flavour. You might prefer using fresh or frozen fruit – feel free to comment below. 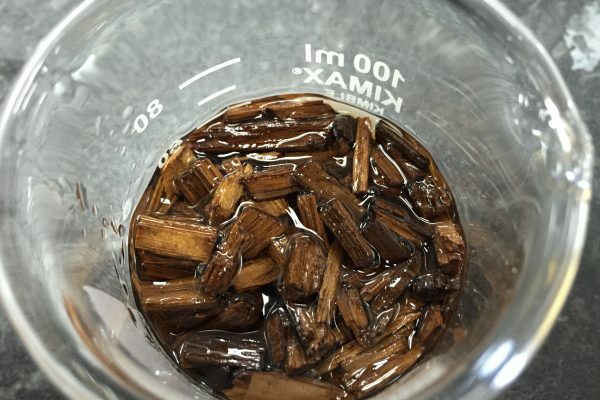 For the next Pimp My Beer I’ll be adding oak chips soaked in different spirits to three different beers…look out for it in the next few weeks. Let me know any suggestions for future flavour additions too. I love drinking Magic Rock High Wire Grapfruit, so I was very interested in trying out your method. 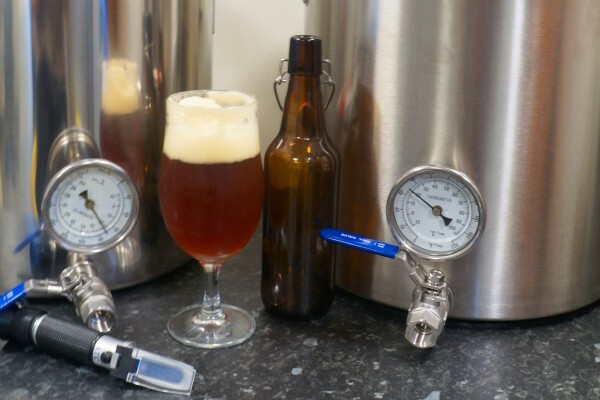 I did an IPA using malt extract then split it three ways. One I dry hopped, another I added canned grapefruit and to the third I added a canned tropical fruit mix. I am really happy with all three beers, Grapfruit being my favourite. Next I’d like to add some flavours to a porter or mild, maybe vanilla. Really interested to see what additions you might come up with next. Please keep the blogs coming.